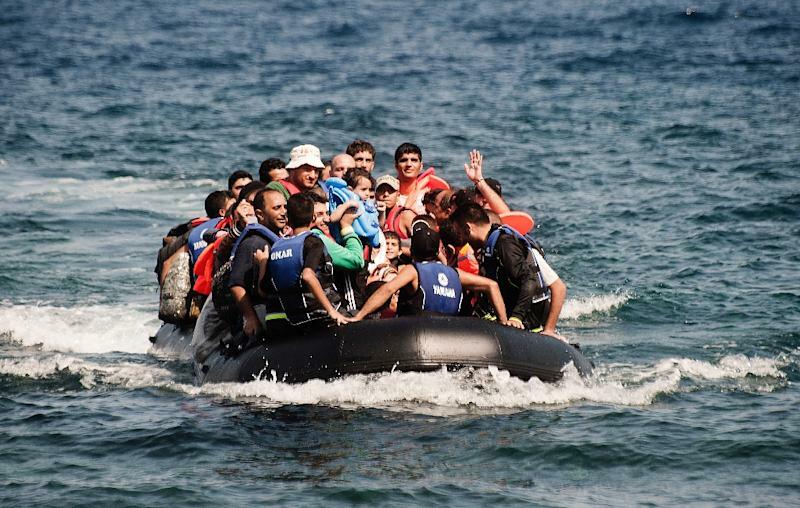 Athens (AFP) - The Greek coastguard on Friday said it was looking for seven migrants feared missing near the Aegean island of Kos, after rescuing 115 Syrians in a separate incident. The search began after a migrant plucked from the Aegean Sea by a fishing boat told rescuers there had been another seven people on a boat that overturned. Earlier on Friday, the coastguard rescued 115 Syrians including 30 women and children from an uninhabited islet near the island of Alonissos. Some 330,000 people, most of them Syrians fleeing civil war, have landed on Greek islands neighbouring Turkey since the start of the year. After a period of inaction that sparked criticism from the UN and rights groups, the Greek authorities last month organised ferry transport to move the Syrians from the congested islands onto the mainland, from where they have continued their journey to northern Europe. But more than 3,000 still arrive each day, the UN refugee agency said on Friday. Accidents while crossing the Aegean Sea are common. At least 80 migrants died or were missing last week in five separate shipwrecks between Greece and Turkey. The International Organisation for Migration says over 2,800 people have died or are missing in the Mediterranean since the beginning of the year.